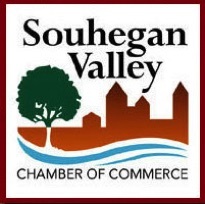 Nashua, NH and surrounding communities now have a lodging option beyond chain hotels. No views of oily parking lots or congested highways. Just a 1774 farmhouse lovingly set on rolling farmland minutes from the convenience of the city. Bed...breakfast...bliss. Farm Fresh-Pick farm Fresh Fruit now- All the farms are in peak season for fresh fruit. Come enjoy apples and pumpkins. -Parking off street for horse or snowmobile trailers. Ask about all our NH partners staynh.org and local attractrations -Merrimack Premuim Outlet Shop-and-stay package as well as our Fulchino Winery and Laromay. -Prices include tax and hot breakfast on weekends ONLY!! Breakfast-Hot breakfast made only on weekends. 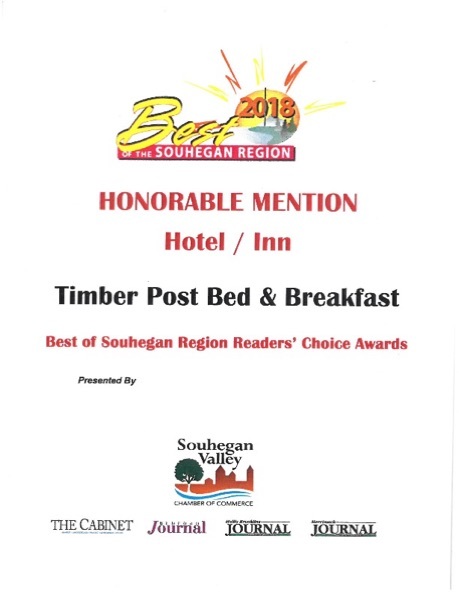 TIMBER POST RECEIVED THE 2018 NH BEST AWARD!!! !